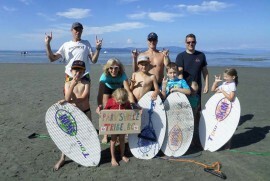 Welcoming our newest Tow Skim Tribe — The Parksville Tribe, BC (Canada)! And they totally crashed a wedding, during their Tribe photo shoot, too! Day, July 1, 2014. An impressive all-out display by Parksville, BC Tribe, indeed! 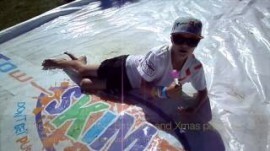 Jack Breit holds the very first ‘official Tow Skim Birthday’ at Layan Beach, Phuket, Thailand on the 11th May 2014. 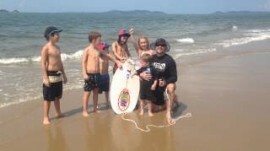 Tow Skim was officially launched to the world on 25 April at Layan Beach, Phuket, Thailand. 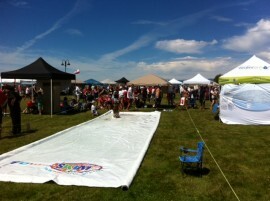 with over 100 adults and (seemed like thousands of) kids supporting the official Tow Skim ‘birthday’.